Group treatment for adolescents who have sexually abused. 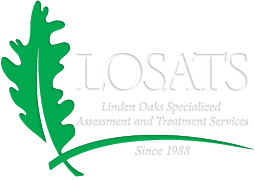 Linden Oaks Sexual Abuse Treatment Services is continuing treatment groups for teens who have sexually abused others. Sexual abuse is a major problem and addressing these behaviors during adolescence can stop further abusing, improve the emotional adjustment of the teen and family and help support a safe and healthy future. Two groups are available: one for teens 12 to 15 and another for teens 15 to 18. Each group will address the abusing behaviors; the developmental and emotional needs of the participants, help clients develop a safety and relapse prevention plan, and provide summaries to referring therapists of treatment progress. It is anticipated that clients will already be engaged in supervision and/or treatment and participation in group will be an adjunct to those services. Older teen groups (15-18): Fridays 3:30 to 5 pm for 10 weeks. Younger teen group (12-15): Thursdays, 4:30-5:45 pm for 6 weeks. Enrollment is limited to 8 participants. The groups will operate for 10 weekly sessions of 90 minutes. The fee is $50 per session.